New Orleans, 1935. Whoever called this “the Big Easy” sure got that one wrong. Things are tough all over. Honest work is hard to find, and even dishonest jobs are getting scarce. The one thing that’s not in short supply is trouble. From shady thugs to crooked cops to Mafia soldiers, there’s plenty of characters out there looking to give an honest Joe a hard time. Still, there are a few heroes left in the concrete jungle. Steely-eyed private dicks, fast-talking grifters, wild-eyed inventors, and shadowy houngans still struggle against the encroaching darkness. With enough moxie—and more than a little luck—they might just be enough to turn the tide. 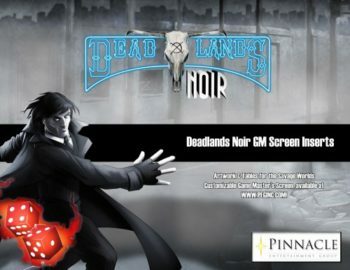 Deadlands Noir is a pen-and-paper roleplaying game set in the world of Pinnacle Entertainment’s award-winning Deadlands universe. It includes new Edges, Hindrances, powers, and new rules for handling detective work. Pinnacle Entertainment Group grants the Game Master a “site license” to print this document for each player in her personal game. No electronic transfer of this document is intended or implied. 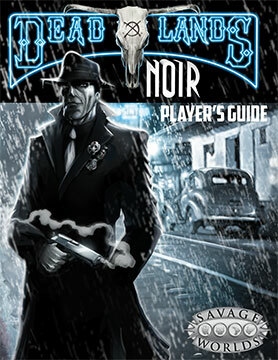 Deadlands Noir Player’s Guide is for players only. 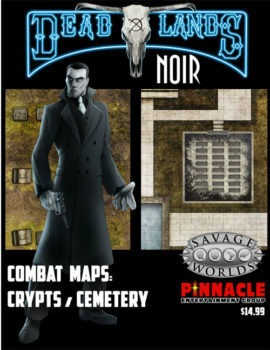 The GM needs the complete version of Deadlands Noir. 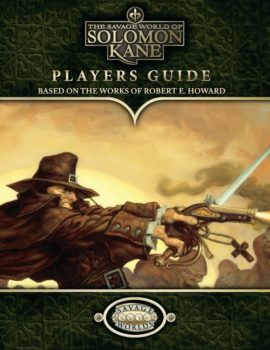 This book requires the Savage Worlds core rules to play. 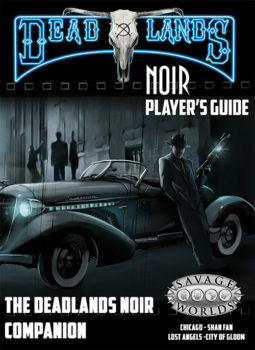 Don’t forget to download the Deadlands Noir Companion Player’s Guide!